DEW-SCENTED - Relentless Thrash Metal from Germany - DEW-SCENTED » Back home from touring Europe – New festival dates announced! DEW-SCENTED - Relentless Thrash Metal from Germany - DEW-SCENTED » Back home from touring Europe – New festival dates announced! Home > NEWS	> Back home from touring Europe – New festival dates announced! Back home from touring Europe – New festival dates announced! DEW-SCENTED have returned home from a loooooong but also very successful European tour supporting Nile! 19 countries, thousands of KM’s to travel, many new experiences made along the way and almost a “hometown” show as last date in Hannover / Germany made an ending with style! We would like to thank our bus comrades of Zonaria and Darkrise for the good time as well as Melechesh and the almighty Nile for the intense weeks we managed to spend together on the road! Also, big thanks to the amazing Massive crew, our tour-soundtech Murph as well as the busdrivers (Rudi & Maren) and merchandisers (Darek & Rob) for the good atmosphere during these last weeks! Special thanks to all old friends we met and to all new friends we made on this tour as well as to all the people that came out to enjoy & support all the five bands at the shows!!! Very special thanks to Michi of Holy Moses for the help as second guitarist for this tour – You rule! 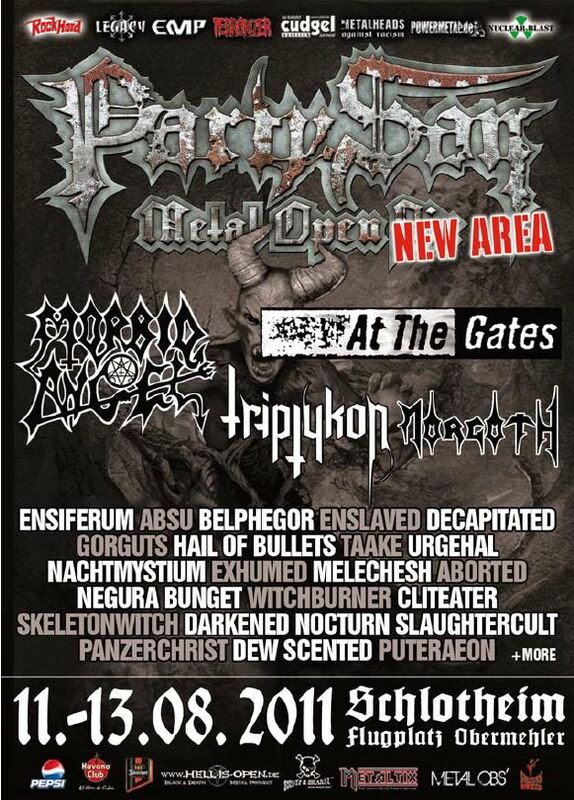 + Iced Earth, Overkill, Hatesphere, Hackneyed, Contradiction, The Rotted, Orden Ogan, etc. + Absu, Aborted, At The Gates, Decapitated, Ensiferum, Enslaved, Exhumed, Gorguts, Hail Of Bullets, Melechesh, Morbid Angel, Morgoth, Nachtmystium, Negura Bunget, Triptykon, Skeletonwitch, etc. See you there to Thrash things up once again! More festival appearances confirmed for the Summer of 2011! European online tour diary up!